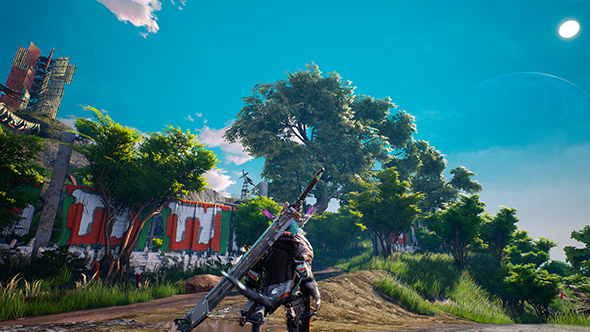 Biomutant was (officially) revealed to us at Gamescom a few weeks ago, and the THQ Nordic-published kung-fu action RPG has offered some beautiful imagery and tantalizing promises when it comes to combat. Now, thanks to an extended gameplay video from IGN, you can get a much better idea of what the game looks and plays like. Check out even more upcoming PC games. Character creation is one of the most intriguing bits, since your choices here aren’t just cosmetic. Altering the physical attributes of your little fox guy or gal will change their stats, making differences in their starting damage, vitality, and movement speed. Taking your avatar into battle will have them showing off an array of high-flying combat moves like the star of an unusually furry John Woo film, right down to sideways pistol-wielding dives. It looks pretty good, though there are definitely some rough edges when it comes to movement and platforming. That underground mushroom-bouncing segment is just, uh, yikes. Still, with a healthy dose of loot and a whole bunch of crafting options for new bits of weaponry, the combat could offer just enough variety to keep this one worth watching. It also has a voice narrating all the game’s action, which is a concept I’ve been a sucker for ever since the game Bastion. This is the first game from Experiment 101, but the developers’ credentials run back to Avalanche Studios and the folks behind Mad Max and the Just Cause series. Biomutant is set to release sometime next year.